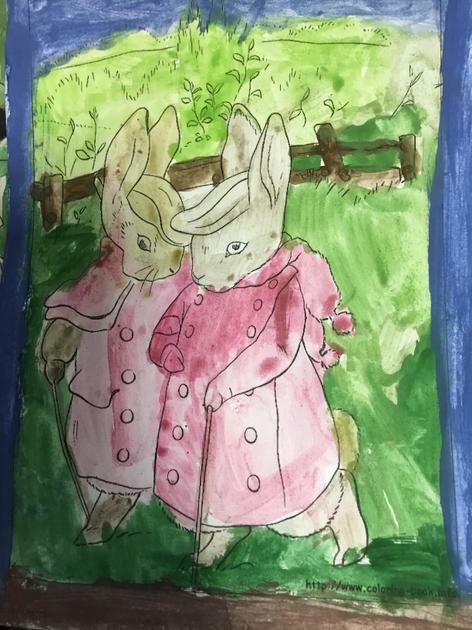 Recently we have been looking at artwork created by Beatrix Potter. 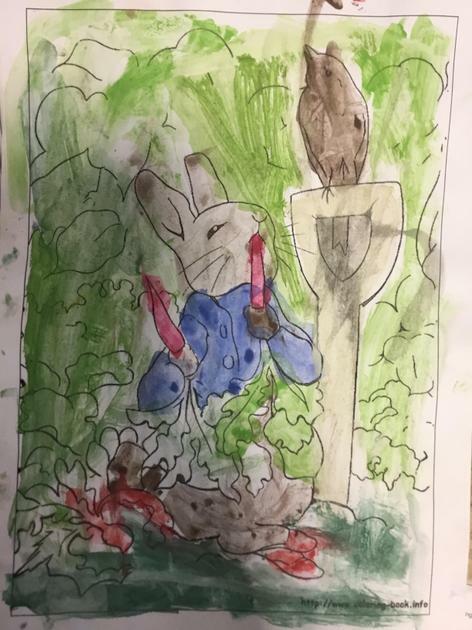 We found out what she used to make her artwork and compared this to what illustrators use today. Potter used sketches and watercolours, however illustrators such as Lauren Childs creates her pictures on the computer; digitally. We have had lots of fun becoming artists and drawing our own animals. 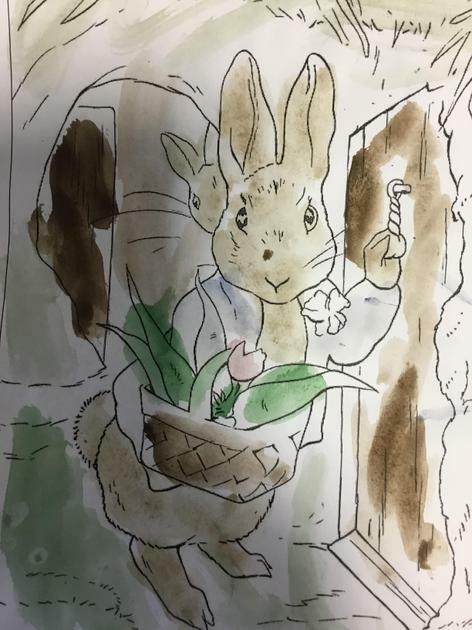 We have also practised using watercolours; choosing appropriate colours and creating light and shade with more or less water. 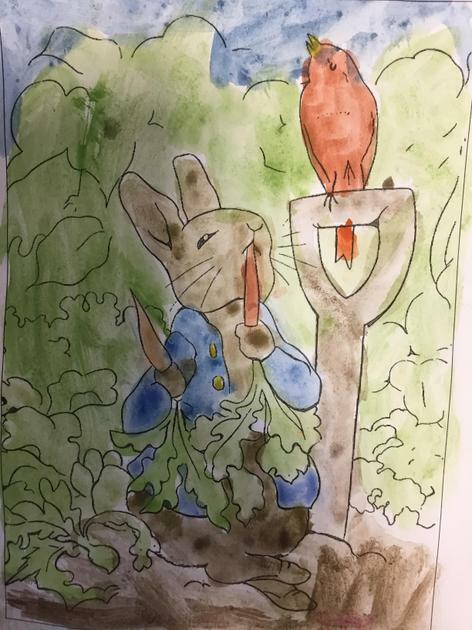 Did you know that Queen Victoria was on the throne at the same time Beatrix Potter was alive; Victorian school children would have been the first to hear her tales. This week we have had a very exciting delivery. The farmer gave us six eggs to take care of! 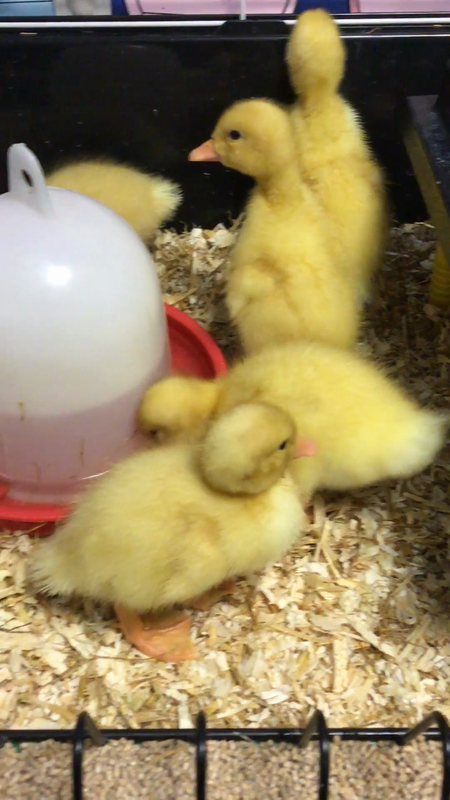 We looked after them in a heated incubator and waited patiently for them to hatch. After just a few hours our ducklings made their arrival and we put them into their cage. They are growing every day! It is great fun watching them, especially when they paddle. 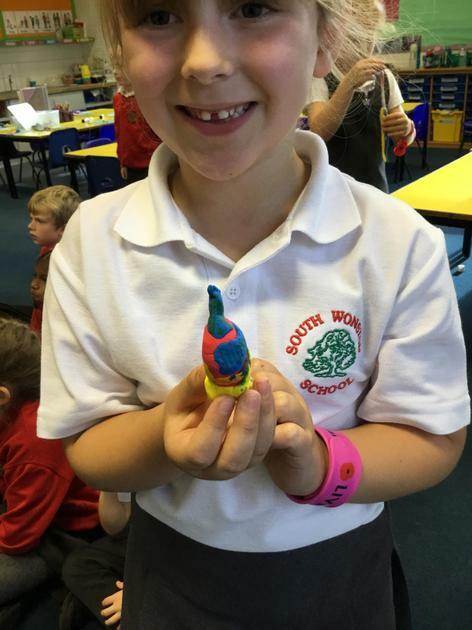 In Science we have been learning about the life cycle of ducks. Did you know a male duck is called a drake? This week we have started to learn about time. We have been using time vocabulary such as days of the week and the months of the year. 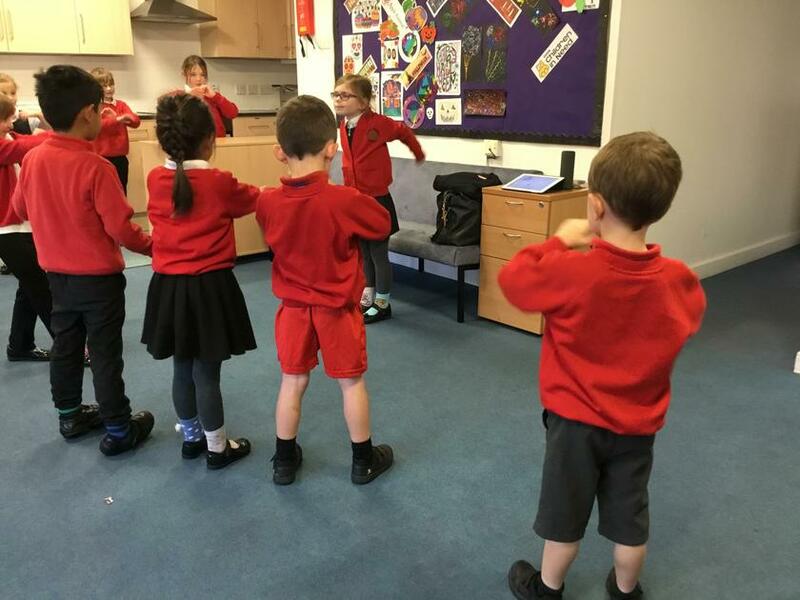 We learnt some songs to help us remember the correct order! 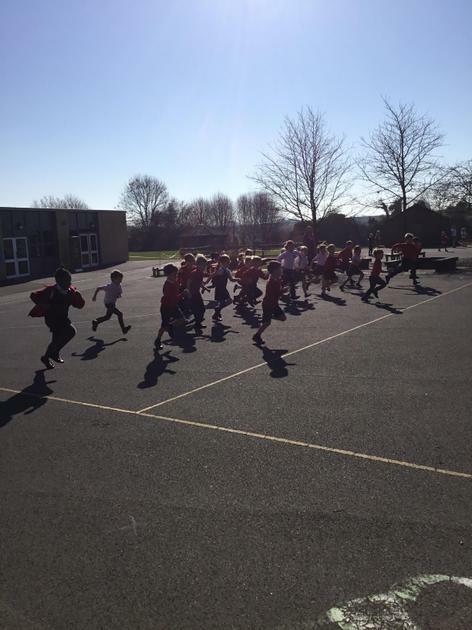 Today, the year 1 children went outside and had races like the tortoise and the hare. They used stopwatches to see how long it took to get to the finish line. They recorded their timings in seconds. Did you know, it takes 60 seconds to build a minute? And 60 minutes to build one hour? Today was a very unusual day! 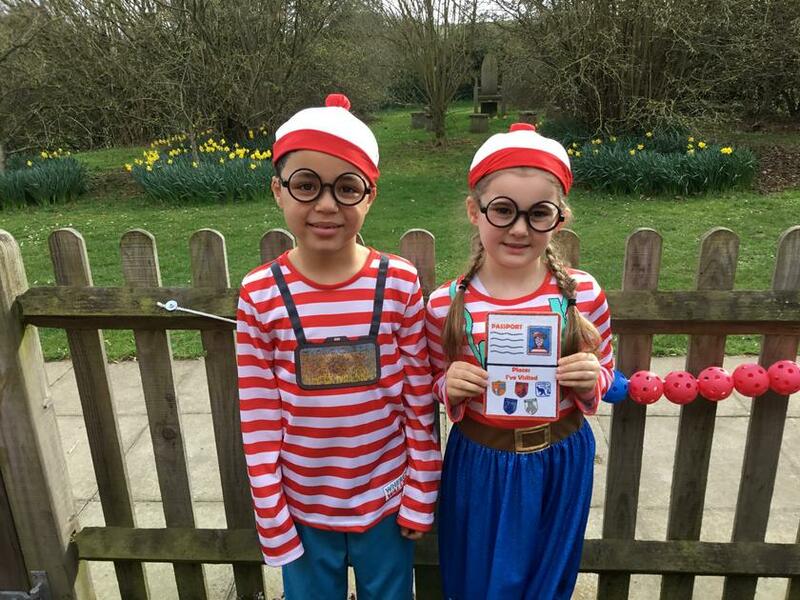 Everyone arrived at school in their wonderful costumes; ready to celebrate World Book Day. However, when we arrived at school we were faced with a crime scene! Our new crayons were missing! We were confused and disgusted. We soon found out that the crayons had in fact QUIT! Red crayon had wrote to us to explain how fed up he was about being used to colour everything! We wrote back to him and begged for all of the crayons to come back. After lunch we were delighted! The lovely ladies in the office returned our crayons and we celebrated by using them ALL. It turned out to be a great day! 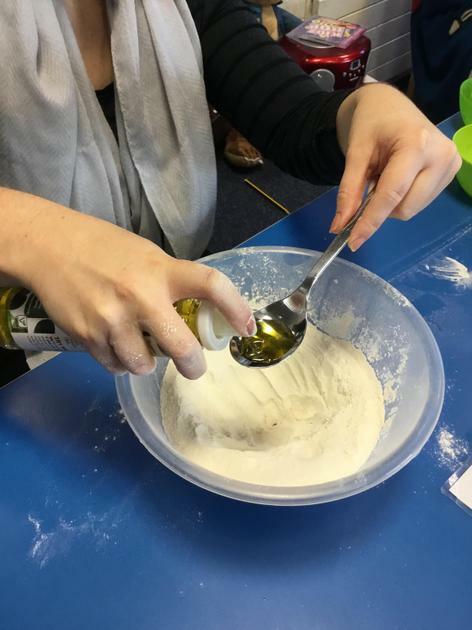 This week we have had started lots of new learning. 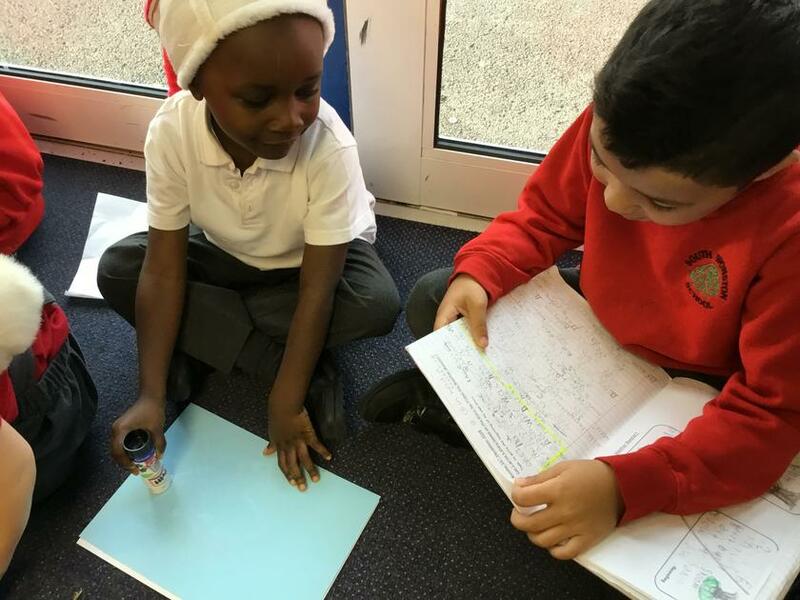 We have been using number lines to help us with our addition calculations and practising our number bonds. We're most excited about our English learning. 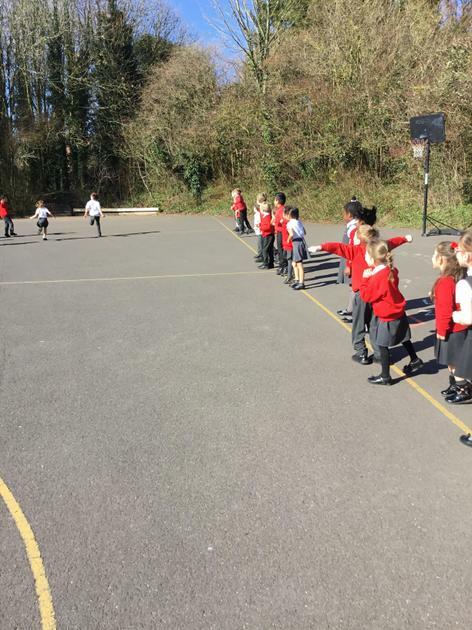 We started the week by running races and 'magpie-ing' the vocabulary we used throughout. These were words such as; champion, exhausting, panting, boasting. 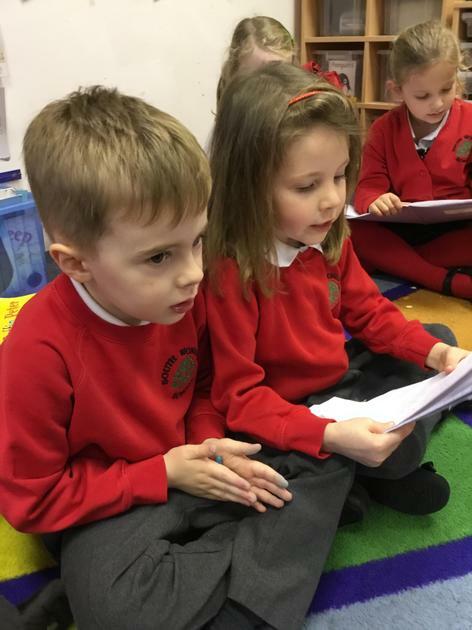 After, we listened to the story of The Tortoise and The Hare and had wrote our own versions using our new words. 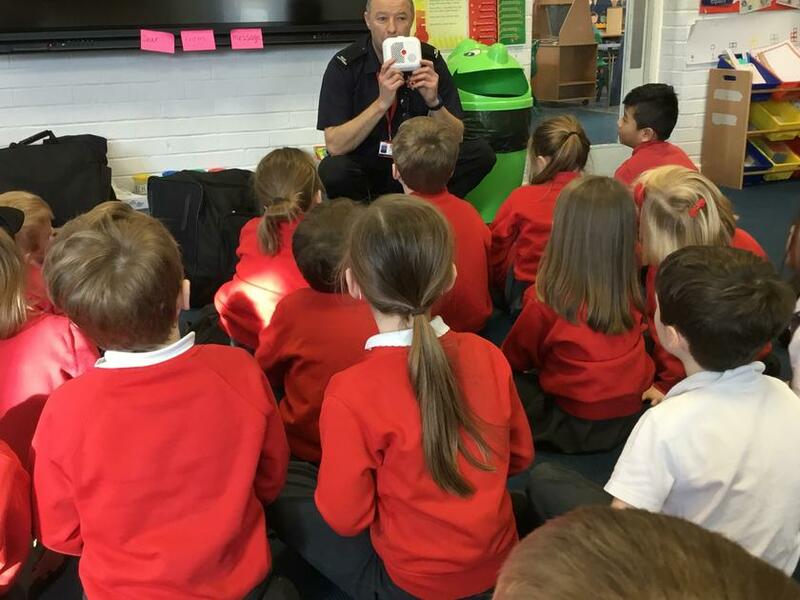 It has been a busy half term for Otters learning about The Great Fire of London. 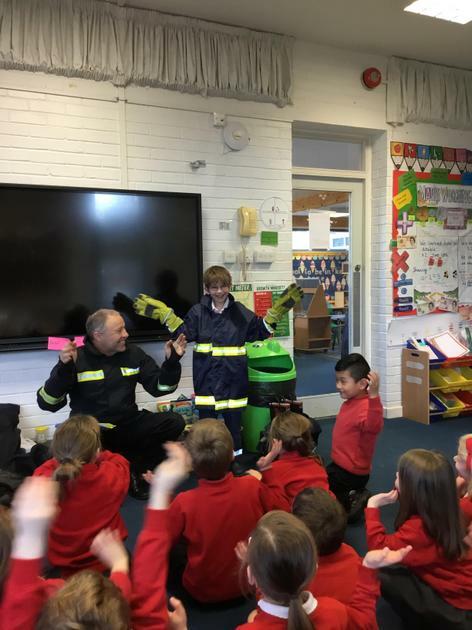 To finish off our learning about Pudding Lane we were visited by The Hampshire Fire Service. 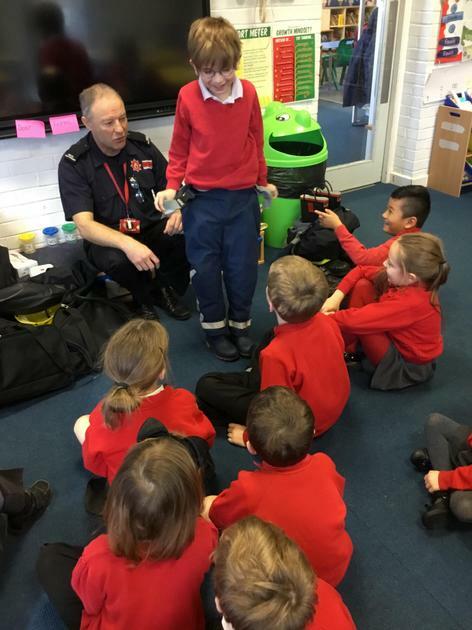 They told us all about what fire safety is like today and what we can do to keep ourselves safe with our loved ones at home. 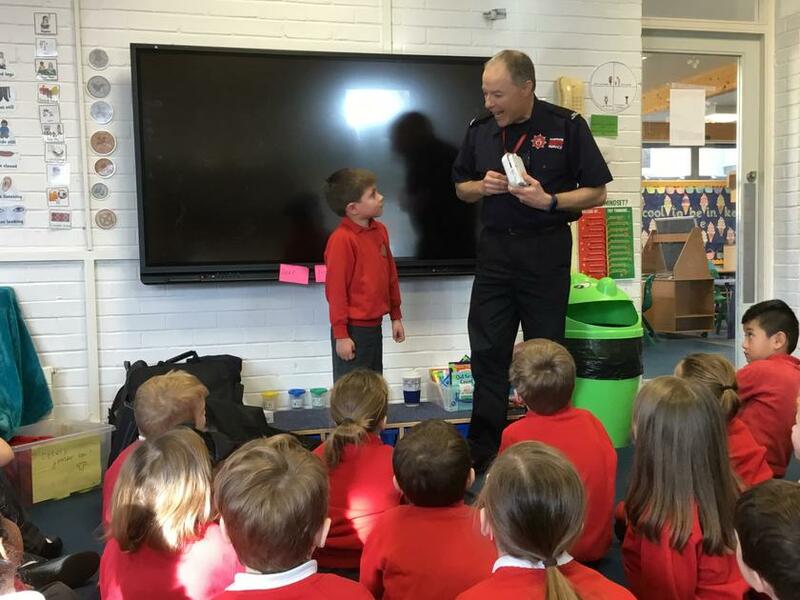 Have you tested your smoke alarm recently? Did you know you're supposed to check the batteries once a week! 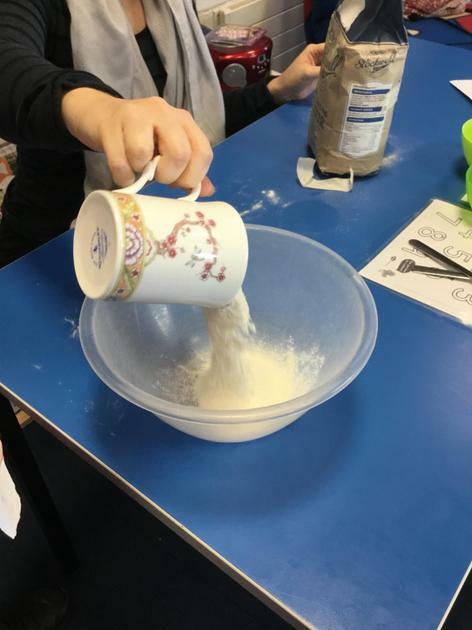 Miss Fewtrell has loved looking at all our home learning too! So far she has seen some fantastic Tudor houses and tried delicious treats which you'd find in a bakery. 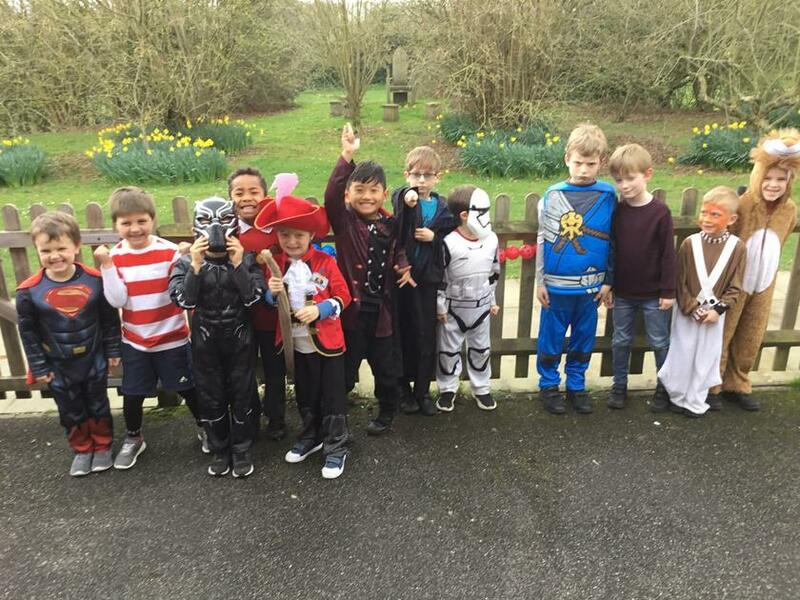 We hope everyone has a lovely, safe half term break. 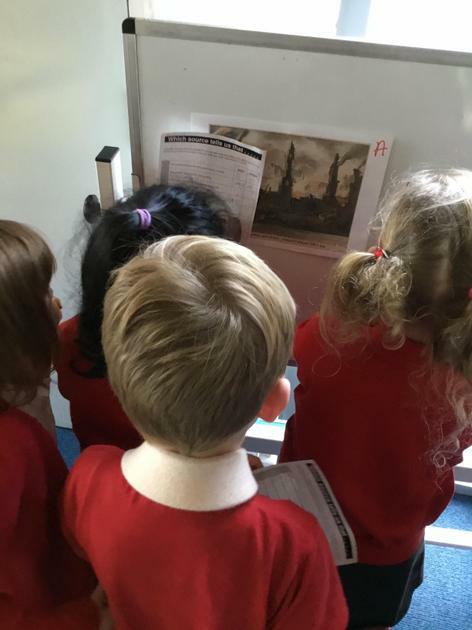 Today we became historians and looked at many different historical sources to see if we could find out anything new about The Great Fire of London. 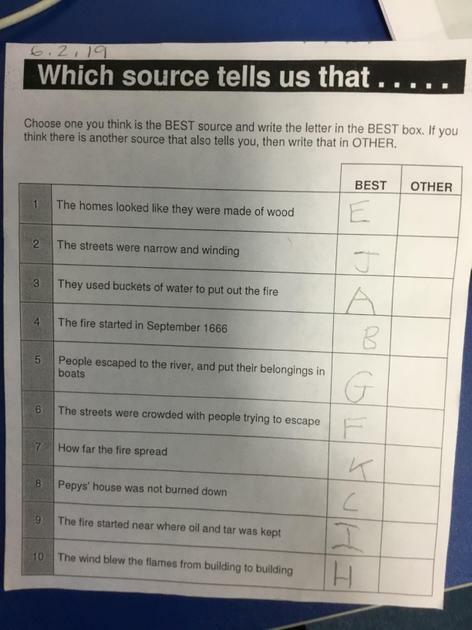 The old newspaper article told us that people believed the french and dutch made the fire worse. We're not sure why this was reported? Today we thought about the buckets which were used to carry water during The Great Fire of London. They were made of leather. We considered what the best material would be today and why. We agreed that the chosen material should be waterproof. 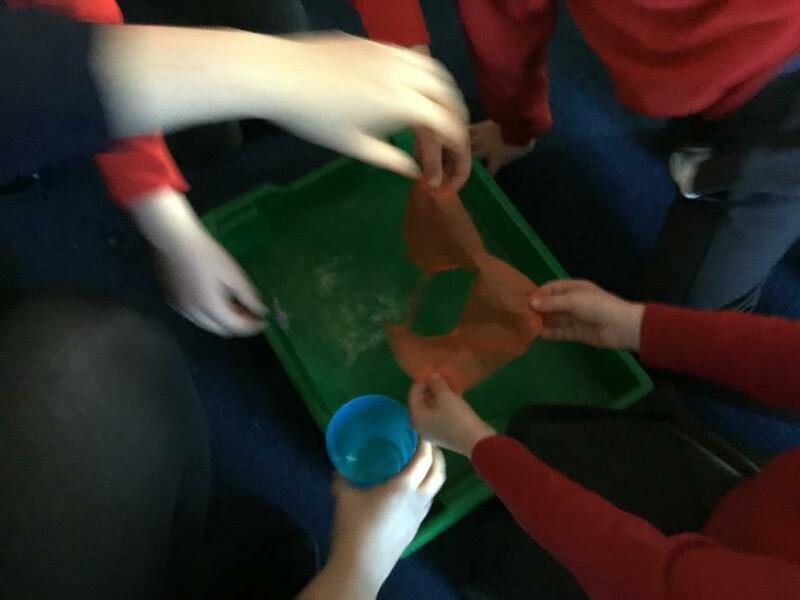 We tested the materials we had available. 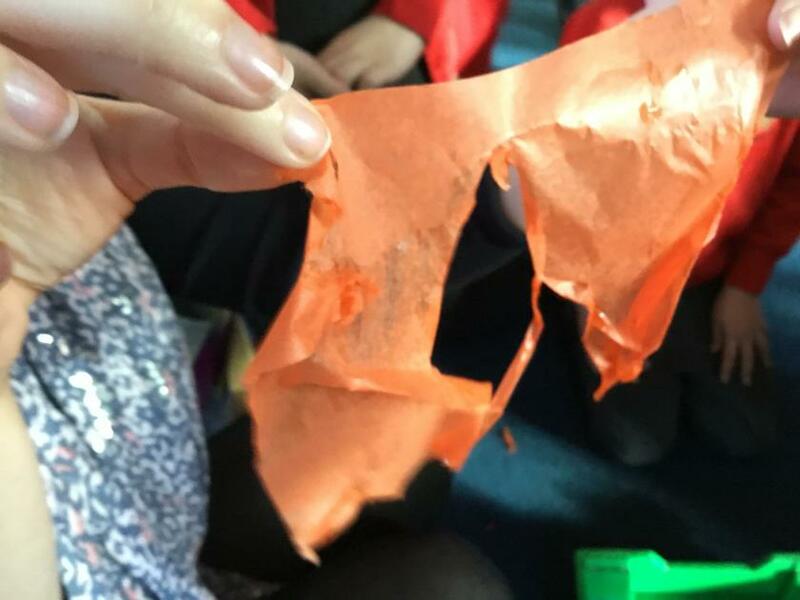 We tried four different types: fabric cloth, plastic, tissue paper and cardboard. 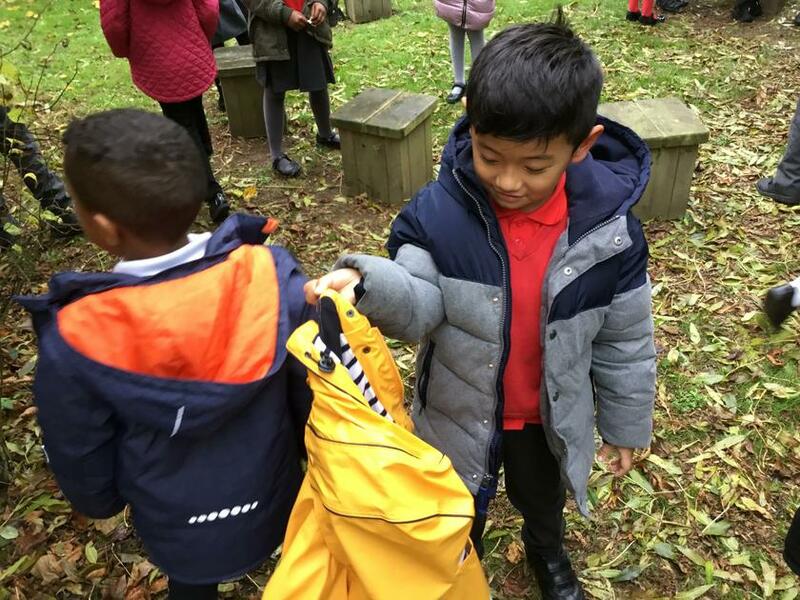 We predicted that the fabric cloth or the plastic would be the most waterproof because we know how they are commonly used to protect things from water, or used with water. For example a carrier bag, and cloths for cleaning the lunch tables. 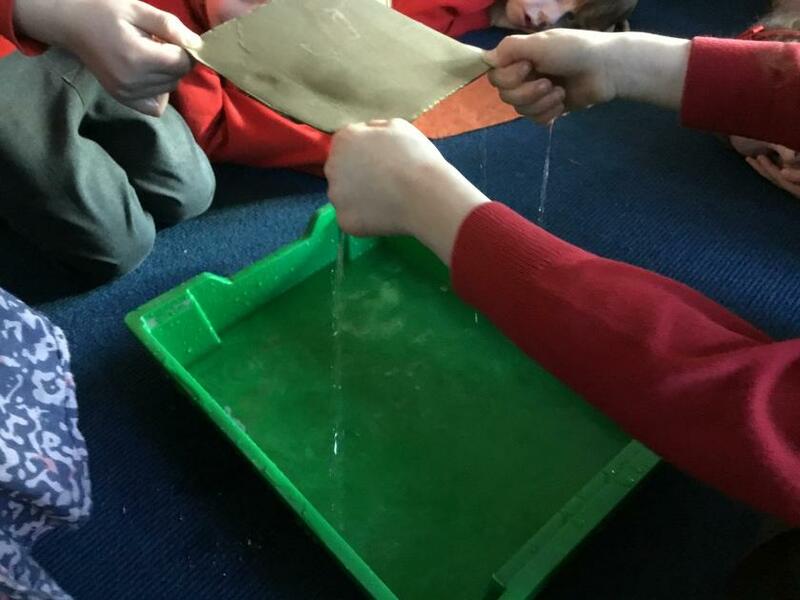 We noticed that although the water didn’t travel through the cardboard it still changed its appearance. 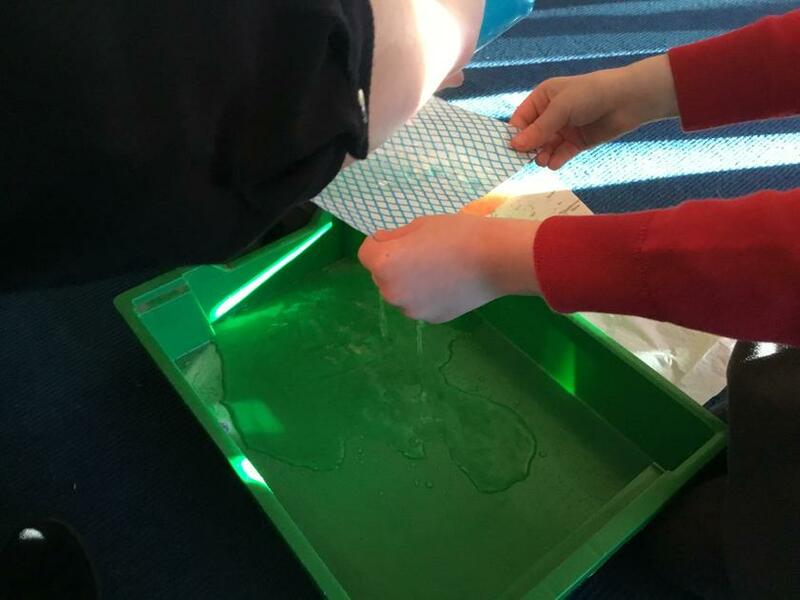 We agreed the tissue paper was the least waterproof because the water created a hole and tore it. 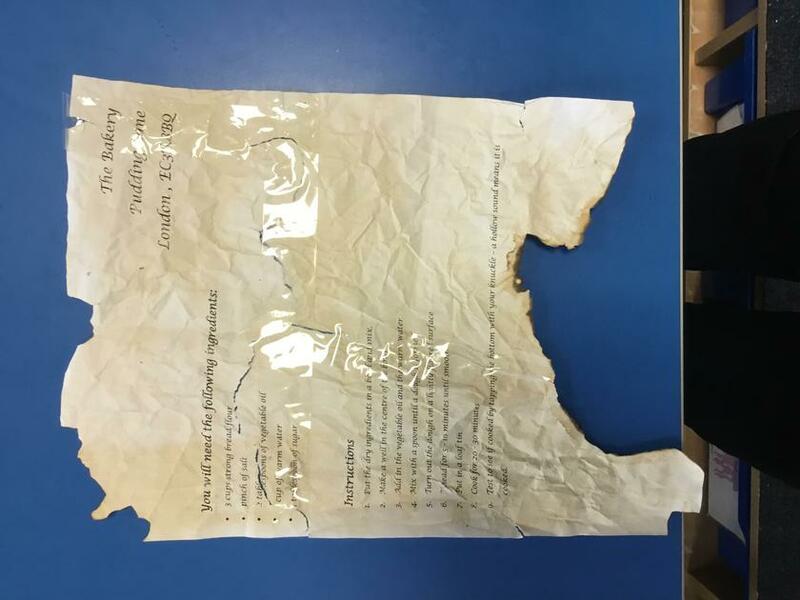 Today we discovered a ripped, old and burnt piece of paper. 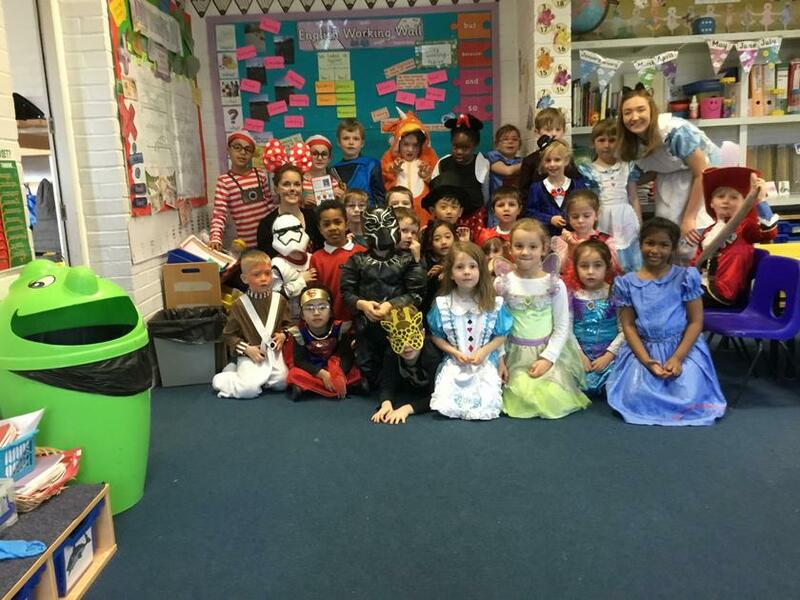 We went to see if we could find the rest of it and bumped into the other KS1 classes who had the missing pieces. We decided to put the pieces together and realised that they were instructions by spotting the clues. 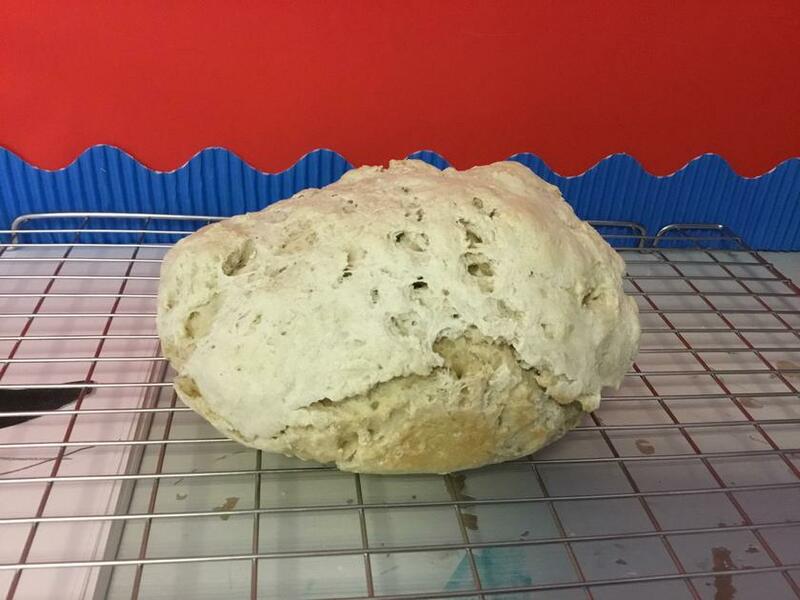 We followed the instructions and created bread. 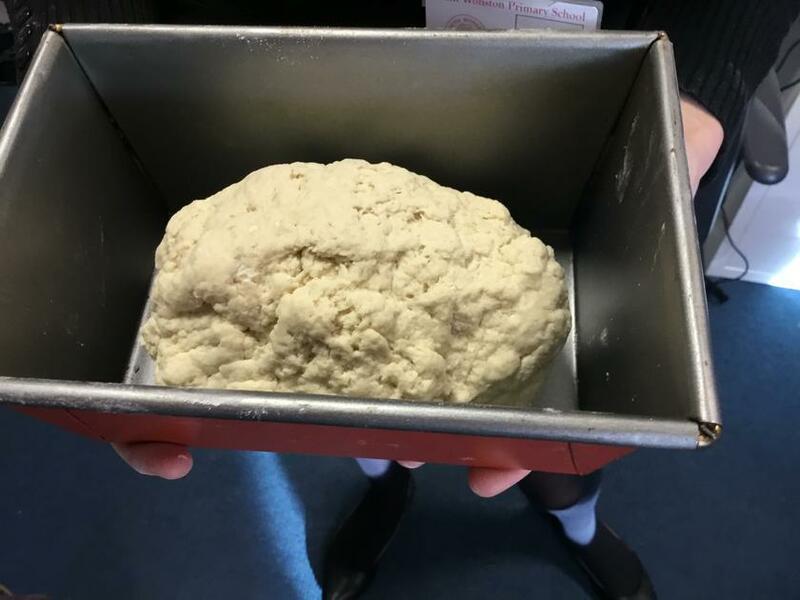 We then discussed that this must have been a recipe and we wrote our own new recipe to replace it. 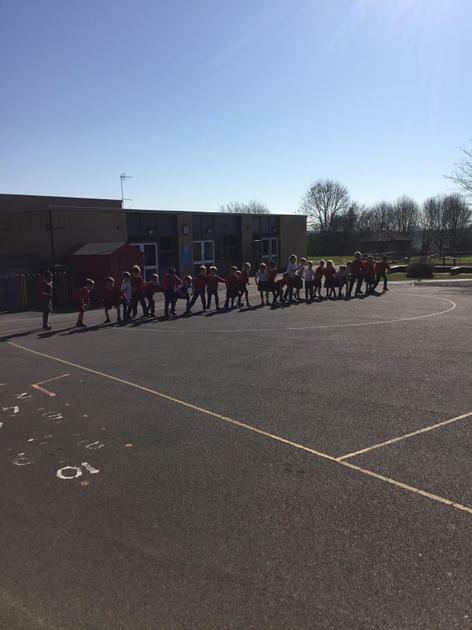 Today we investigated which is the warmest country in the UK. 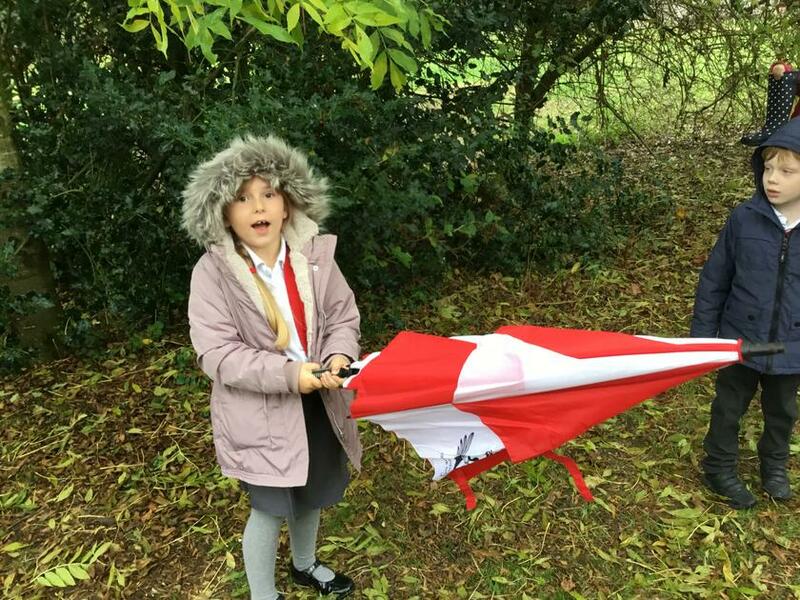 Also, today in English we started to record our weather reports for the BBC news. Miss Fewtrell is impressed with how grown up we sound! 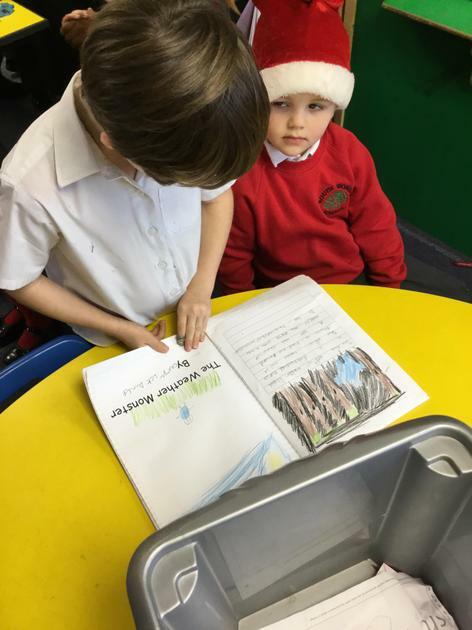 This morning we had a lovely time sharing our completed Weather Monster stories with Year R children. 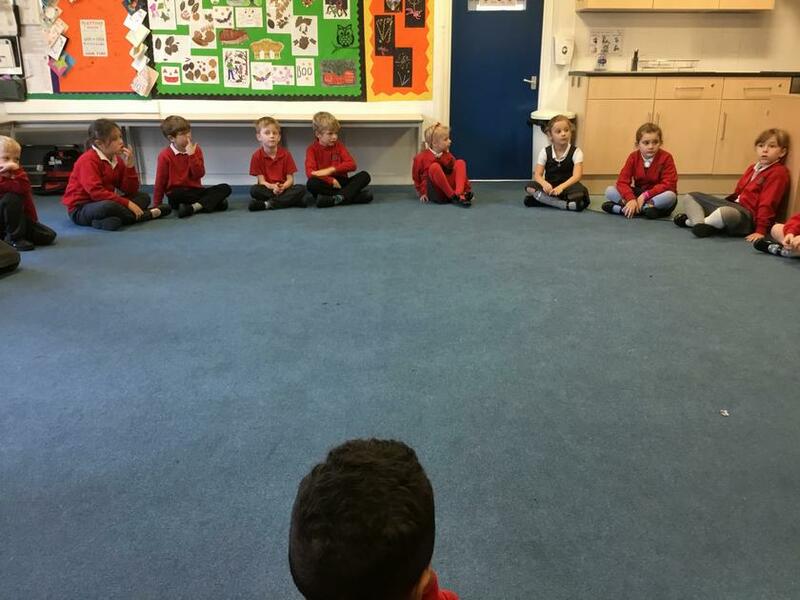 We asked them if they would like to listen and helped them find a quiet spot to sit. They were great listeners and we enjoyed our visit. 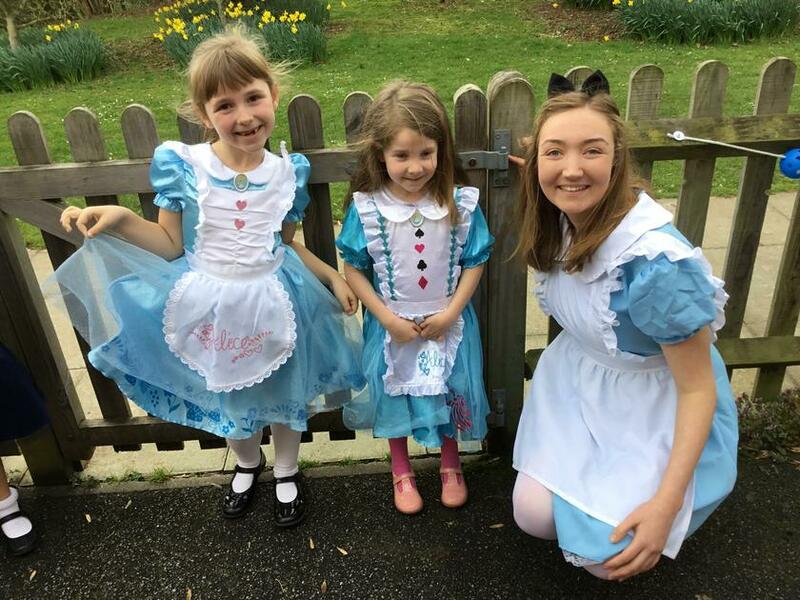 Thank you for having us Ladybirds and Bumblebees! Last week we learnt about how to use coins and notes to make amounts and prices. 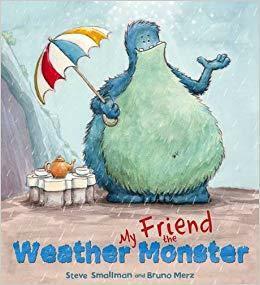 We enjoyed buying weather items for the Weather Monster. 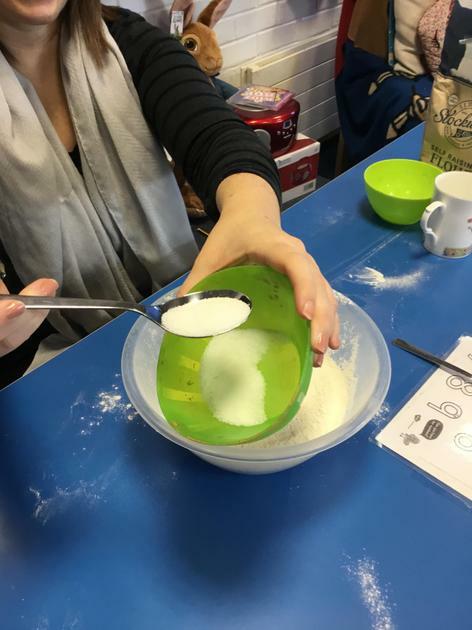 This week we have been having great fun finding out about shapes and how they are related to each other. 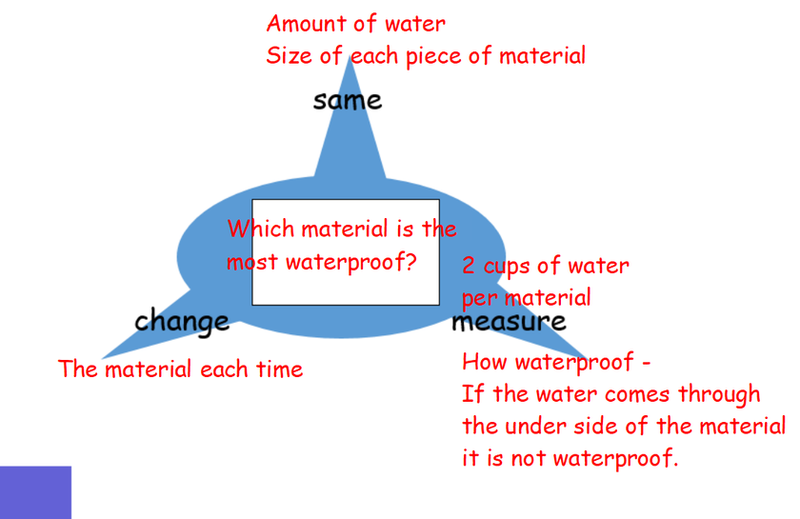 Did you know that you will find 2D shapes on the faces of 3D shapes? For example, a cylinder has circle faces on either end! We noticed a Pringles tube, glue sticks, bins and smarties tubes are all this kind of shape! We've even tried making shapes using geoboards and elastic bands. Next we're looking forward to finding out about symmetry! This week we have celebrated our differences by wearing odd socks. This was to raise awareness of Anti-Bullying week. We like that we're different because it makes us all unique. Also, we were lucky enough to have a visitor from Perform on Monday! 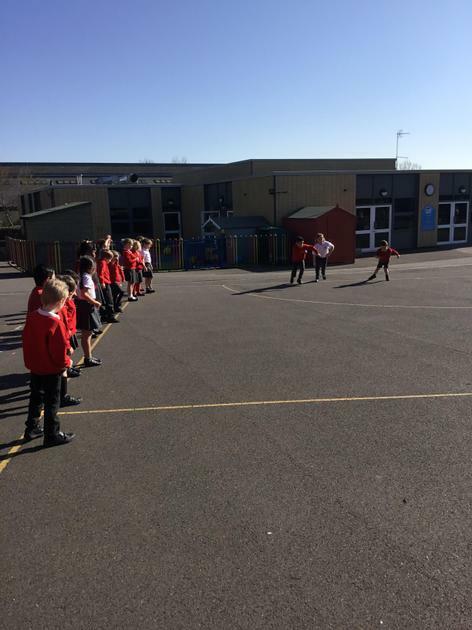 We went to a circus and performed as lion tamers, clowns, human canon balls and tightrope walkers. And we had to cheer up the miserable clown. It was great fun. 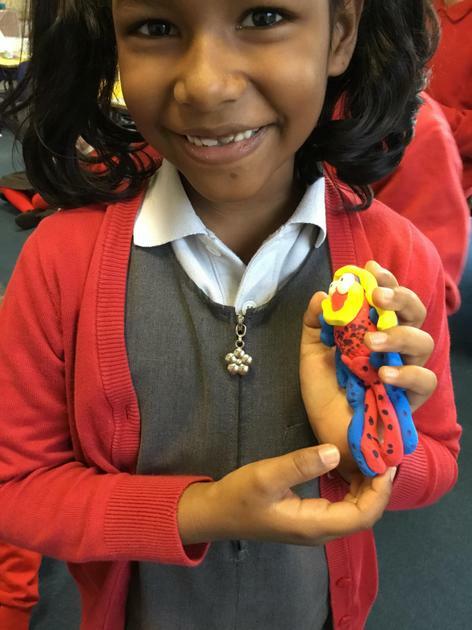 This week we made an unusual discovery! 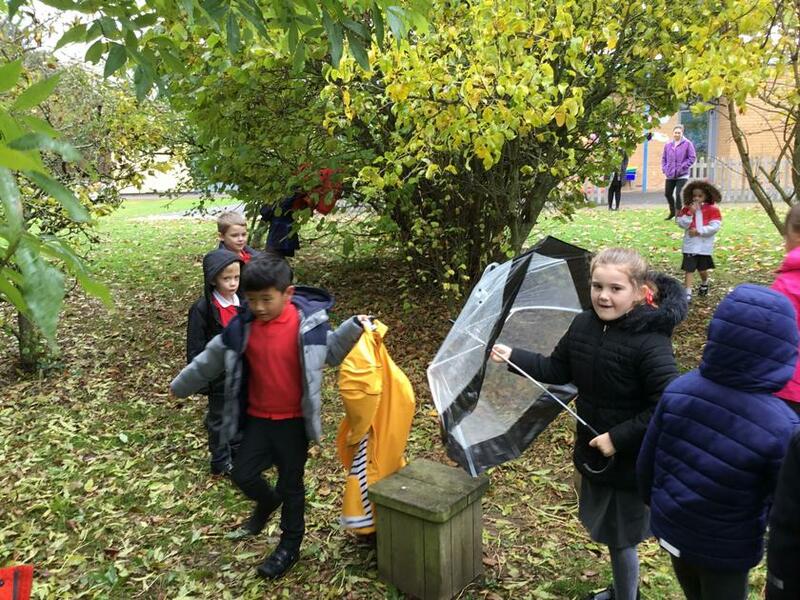 In our outside story area we found coats, umbrellas and welly boots! It was all very strange. We wondered where they came from, and who might have left them there?! 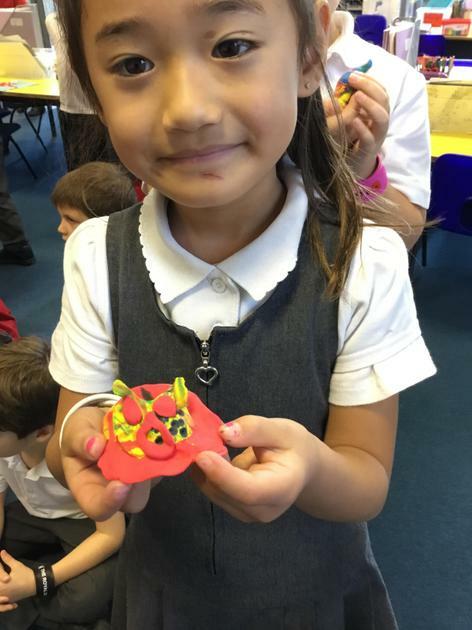 We think it could have been the Weather Monster! 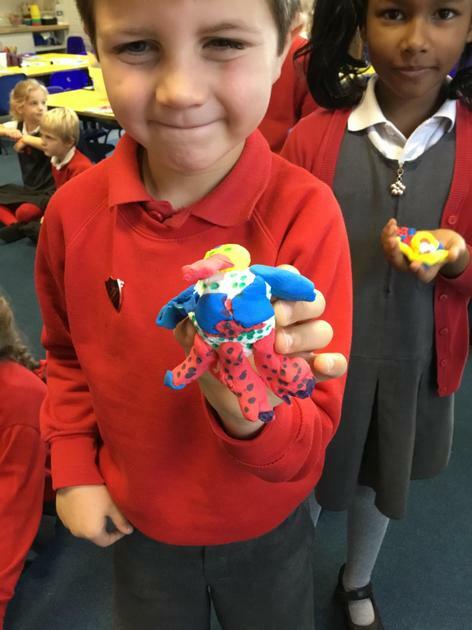 In English we made our own weather monsters and wrote questions for them. We have been making predictions about what will happen in the story. 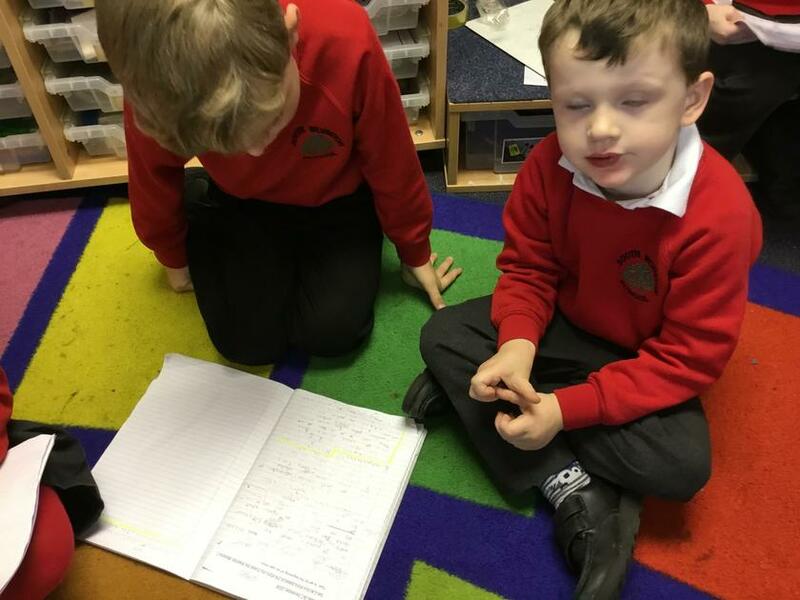 Year 2 wrote their own blurbs which they think will match the plot. 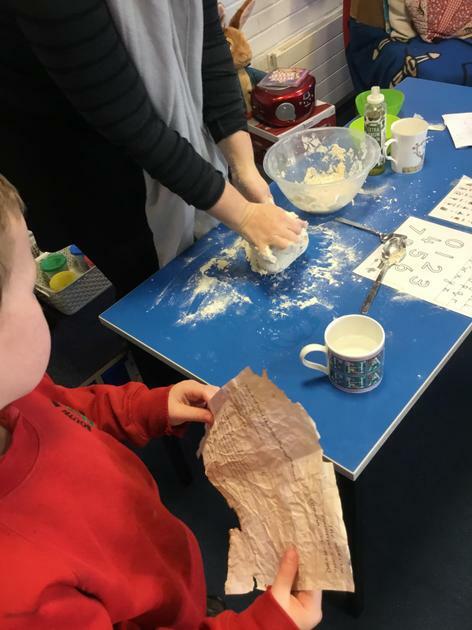 It has been a busy first week back at school for Otter class. 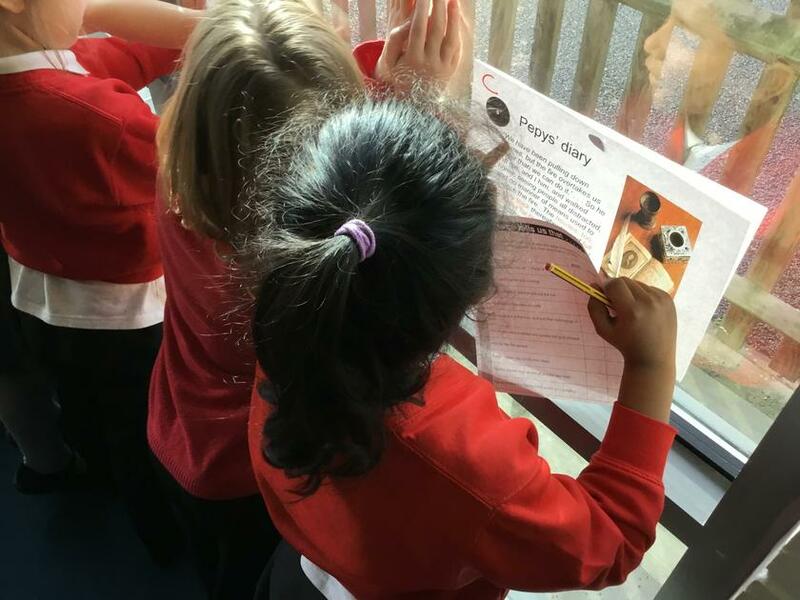 We have visited the life bus, carried out a science experiment, started to write our own riddles, and begun our new topic about weather! We are looking forward to becoming meteorlogists! This week we have had great fun writing letters to Jack to let him know where we think he should live. 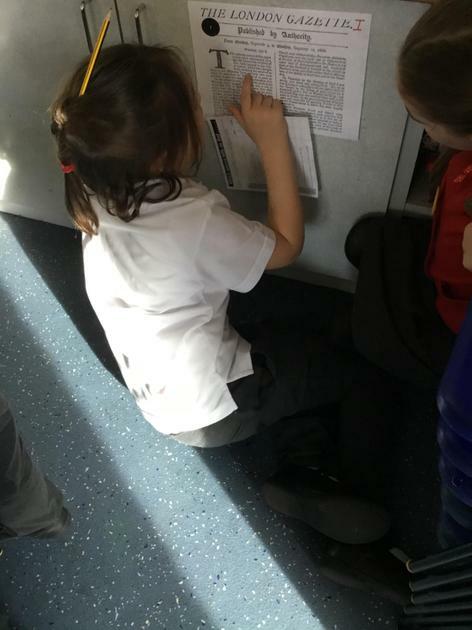 We used all of our previous research about villages, towns and cities to let him know our reasons. 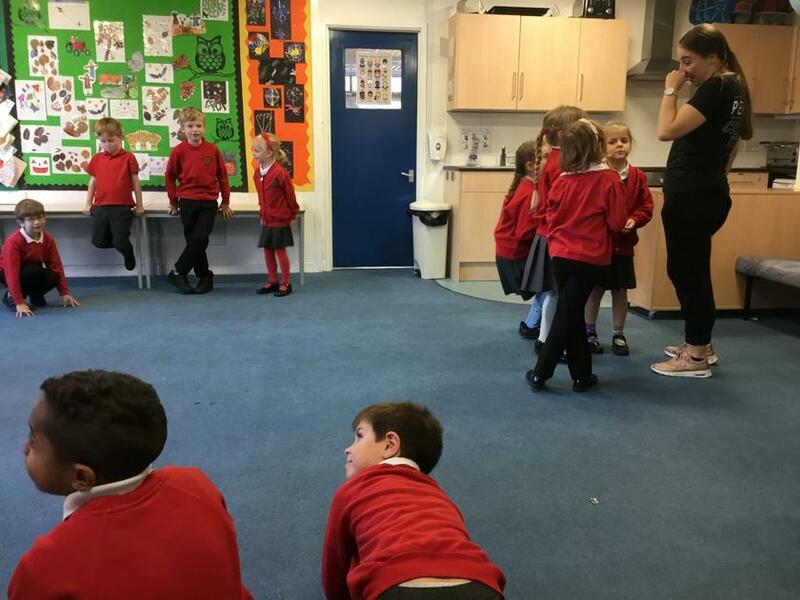 Most of us thought that Jack should live in the village of South Wonston because it is a quiet area with lots of houses to choose from. It also has bus stops so he is still able to get into the city. 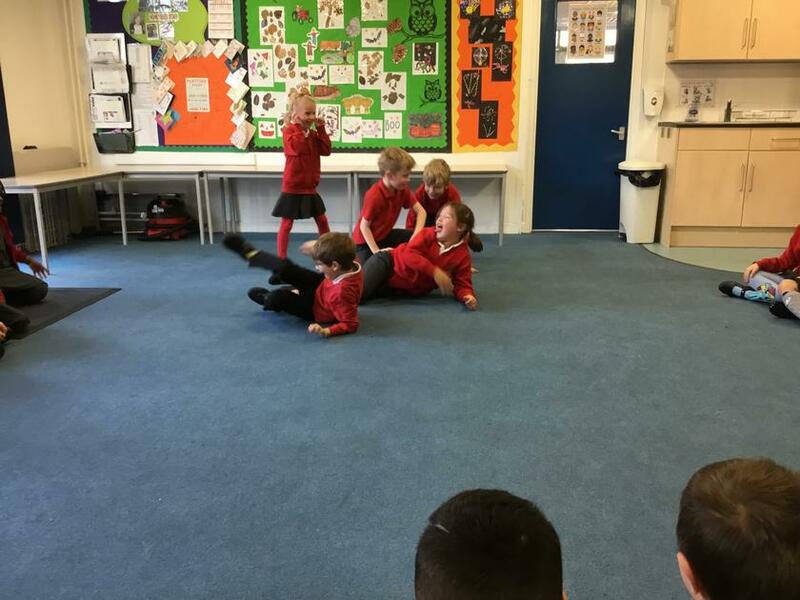 Also this week, we really enjoyed watching a pantomime. It was the story of The Wizard of Oz. It had a lovely happy ending. Some of us even got to go on stage! 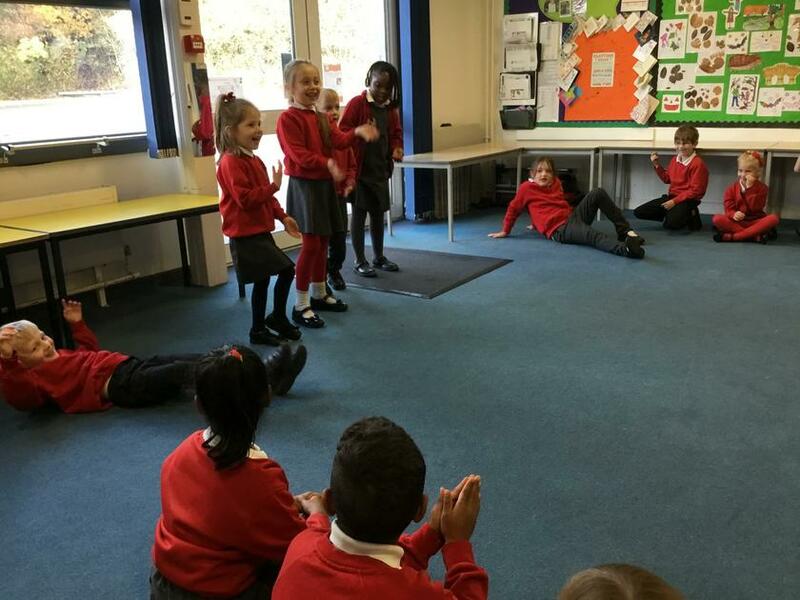 This week in English we have been writing a new ending for the tale of The Town Mouse and The Country Mouse. Miss Fewtrell has enjoyed reading them. She was impressed with our use of adjectives. Also, we have had fun using The Mighty Writer to create new stories. 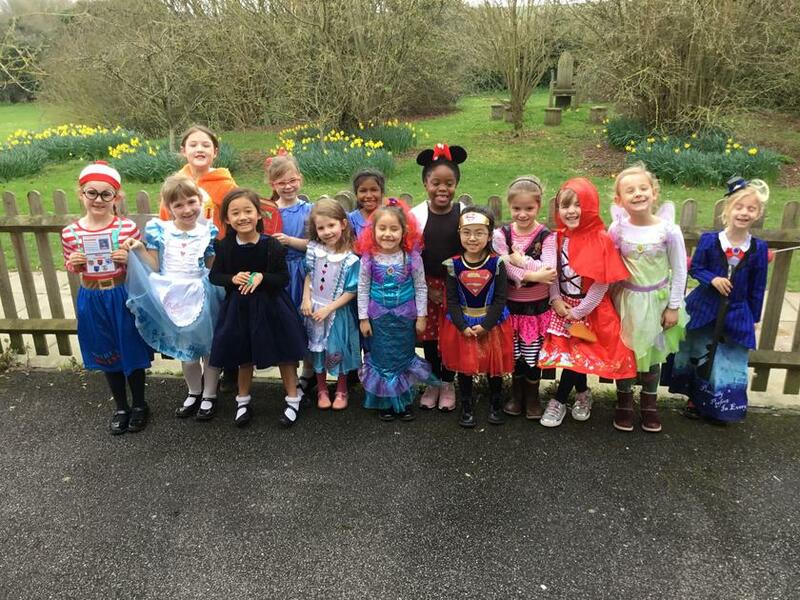 In Year 2 we wrote about a pretty fairy and beautiful mermaid on an old pirate ship, and Year 1 wrote about a friendly dinosaur and little girl who lived a tree house. We loved using this new piece of equipment! 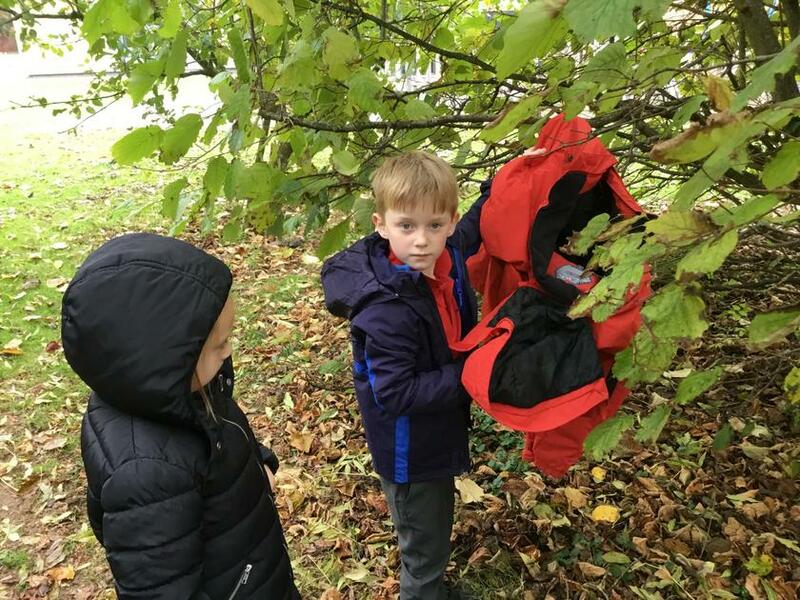 This week we have been finding out more about Winchester and what it is like there so that we can help Jack choose a place to live. We looked at 'google street view' and many photographs. We noticed there are lots of shops, a cinema, a cathedral and important statues. 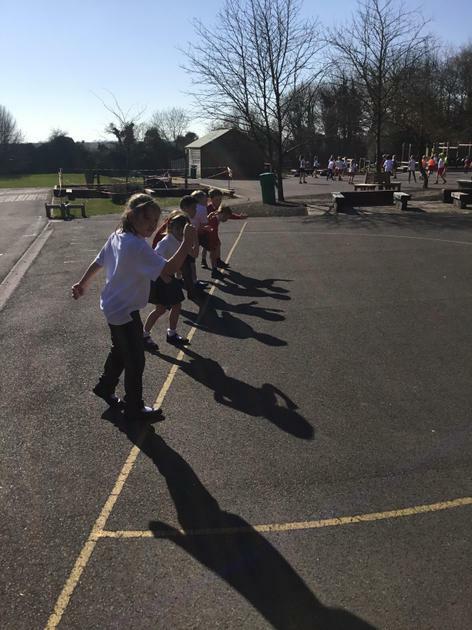 We are looking forward to our trip around South Wonston tomorrow to see how it compares to the city. 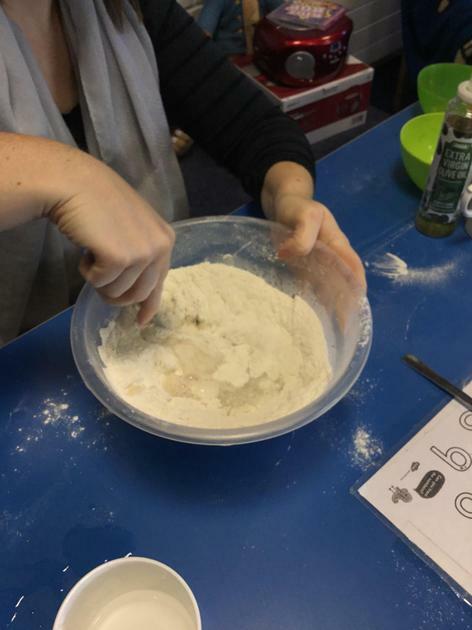 This week we have had great fun learning about instructions. The Giant from Jack and The Beanstalk left his instructions for 'How to grow a beanstalk' in our classroom! Did you know that instructions have to be followed carefully, and it is the only time we're allowed to be bossy? We have also been giving instructions to Jack. 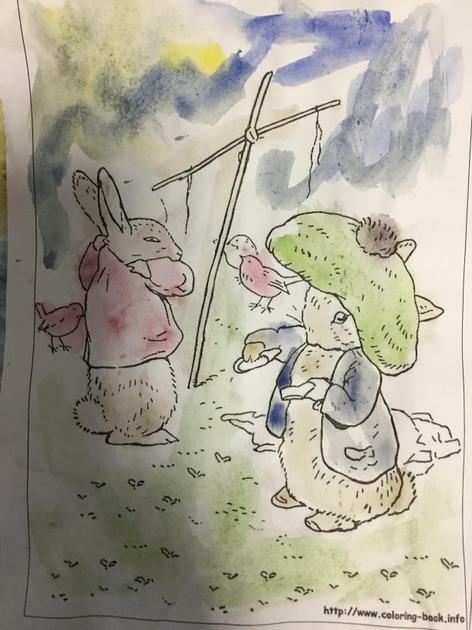 He wanted directions for how to get to places around the village. We used compass directions (North, East, South and West) to help us. 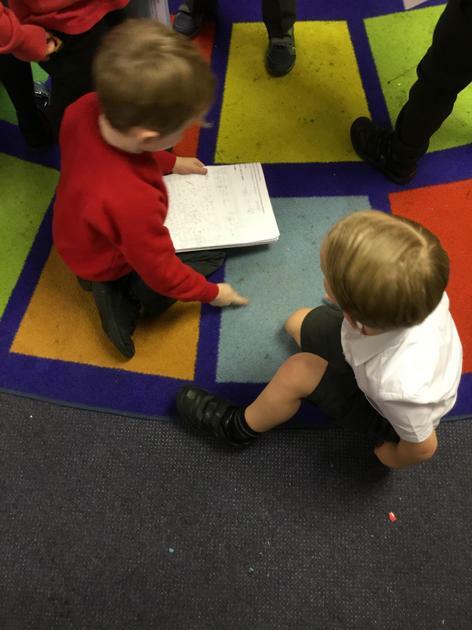 This week we have been very busy in our English and Maths learning. We have planned and written our own story endings for The Gingerbread Man tale. 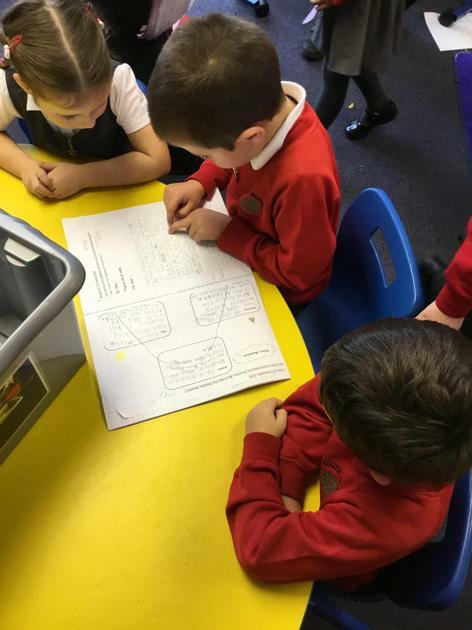 Miss Fewtrell was impressed with our new ideas. In Maths we have practised building numbers in different ways and finding which ones are more or less. Also, we had great fun trying to show Jack what South Wonston is like. We drew maps with our own symbols. Hello! Welcome to Otters' class page! 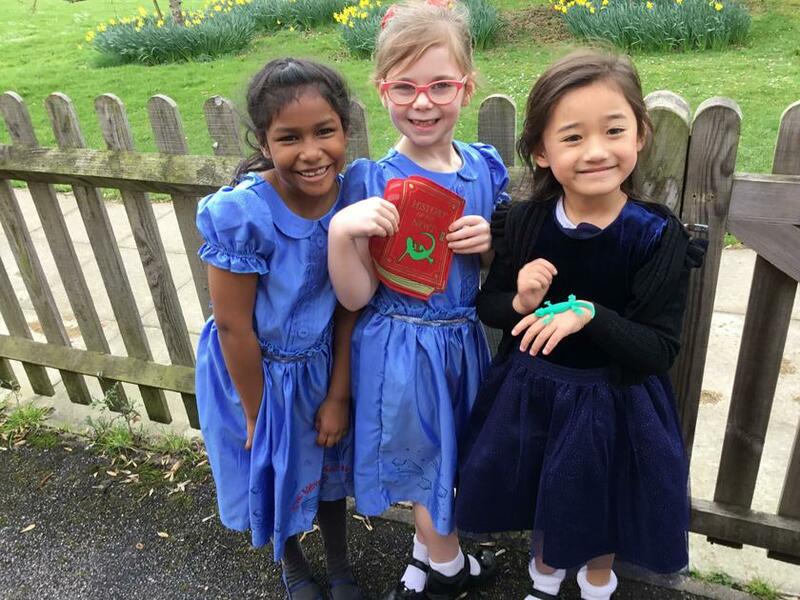 We have been having great fun getting to know our class friends and teachers. 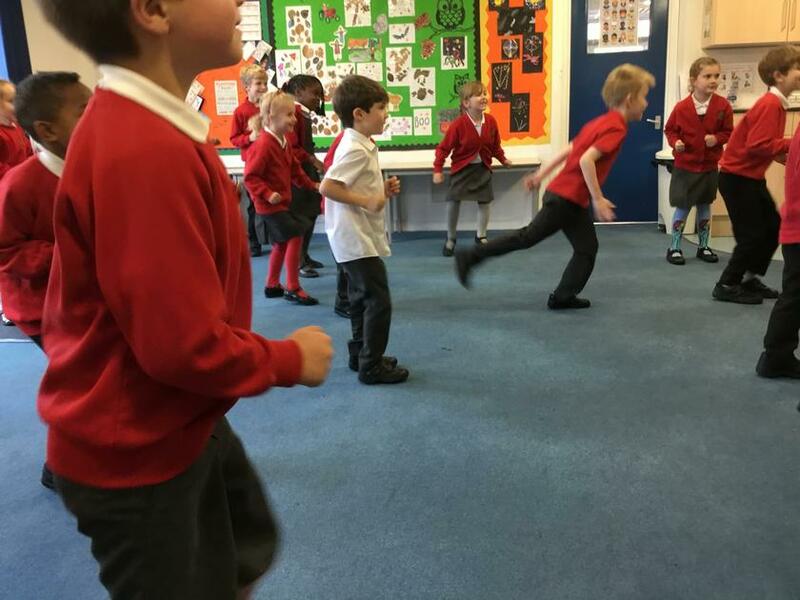 Last week we played team games, and started to learn about fairy tales. 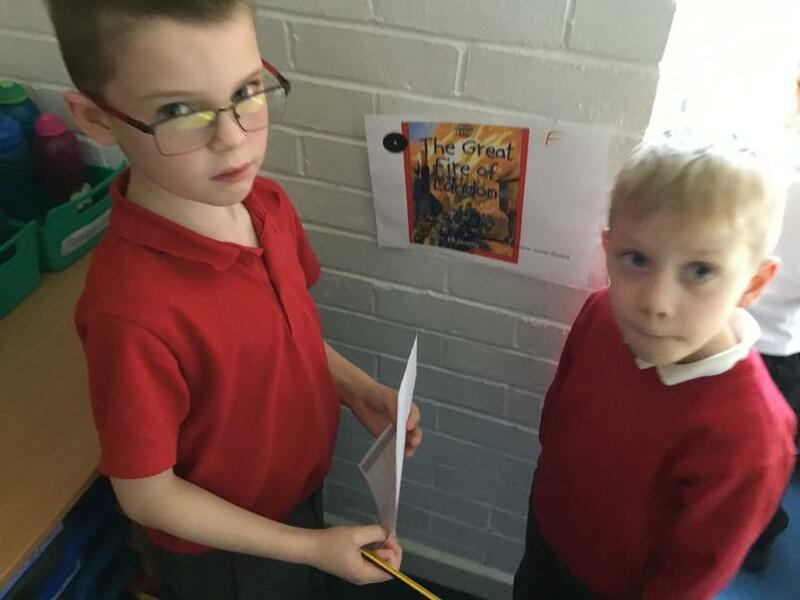 Did you know that Jack from Jack and The Beanstalk is looking for a new place to live? We are trying to help him decide whether a town or city would be best. 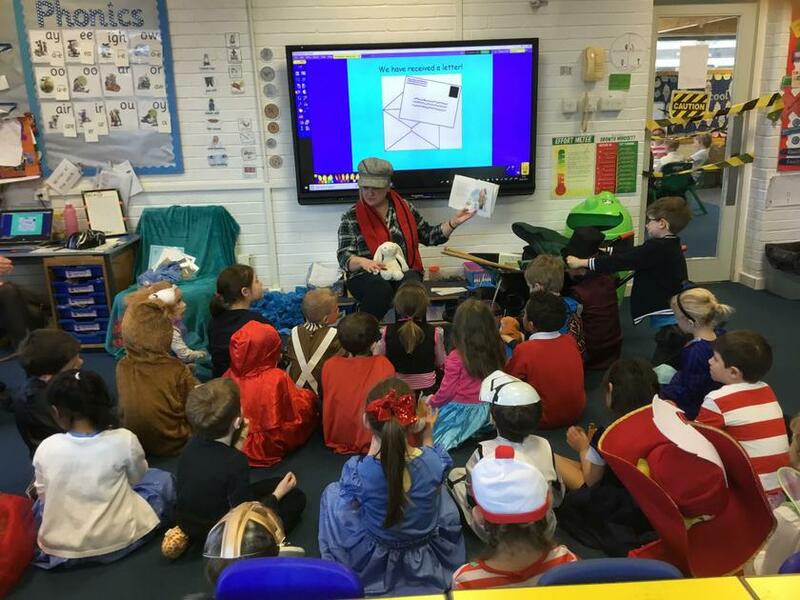 Today we had a great time celebrating Roald Dahl's birthday. 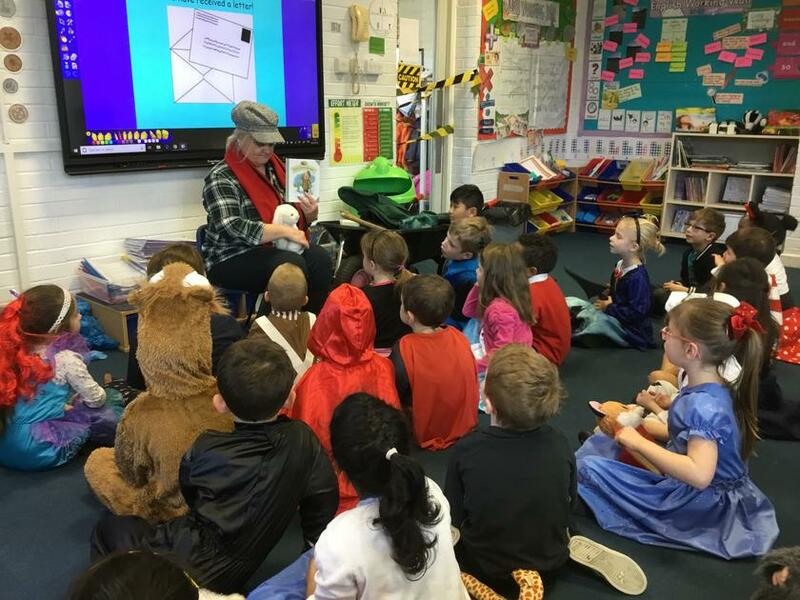 He is a famous author who has written lots imaginative stories. We designed our own sweets for Willy Wonka and described them using adjectives. We read about his amazing sweets in the story Charlie and The Chocolate Factory.